Darian Wayne Swartz currently resides in Armstrong, British Columbia, with his wife, Heather and three sons. Since early childhood, Darian showed great promise as an artist and inventor, often documenting new ideas or creating new items while at the boarding school he attended in Alberta, Canada. Due to his God-given leadership and technical skills, Darian worked as supervisor at a large, aircraft refinishing facility. 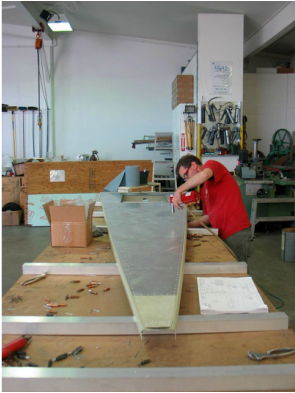 Later on, as an aircraft sheet metal specialist in Calgary, Alberta, Darian was asked to travel abroad on numerous occasions to perform custom metal fabrication for large aircraft. Since 1997, Darian has owned and operated Skytek Aircraft Services, Ltd. in Vernon, which specializes in aircraft rebuilding. Darian’s passion has always been creating, using whatever medium available. His mind tirelessly conceives and designs new and improved ways of doing things or making existing products better, especially in the areas of antique vehicle restoration, artwork, and creating unusual toys for his children. Born in Calgary, Alberta, Canada, Keith grew up in the West Kootenays of British Columbia as the eldest of three children. Keith's determination and drive early in life earned him the distinction of becoming Canada's youngest Aircraft Maintenance Engineer at the age of 18, then culminated in the realization of his own aircraft maintenance and reconstruction facility in 1997. He specializes in metal fabrications and repairs using custom-built and modified pieces of equipment that most facilities do not have, giving his company, Skytek Aircraft Services, a cutting edge. His ongoing pursuit of excellence was officially recognized in 2001 when his rebuilt 1961 Piper Super Cub aircraft won an award for the “Reserve Grand Champion” at the Arlington air show; and was awarded “Best In It’s Class” at Oshkosh Wisconsin in 2002. 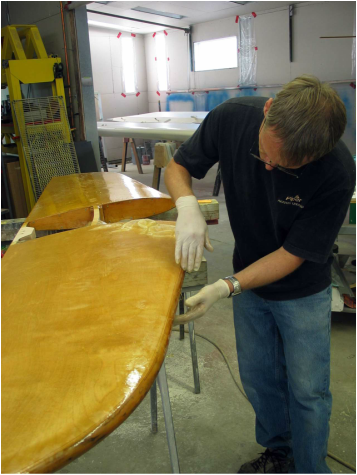 Keith is currently restoring a number of antique aircraft with the help of his brother Darian, which also promise to achieve an exceptional level of success. Over and above his expertise in the aircraft industry, Keith's demand for excellence has resulted in the design of creative improvements to various products. Keith, his wife, and one of their two children currently live in Vernon, British Columbia, Canada.